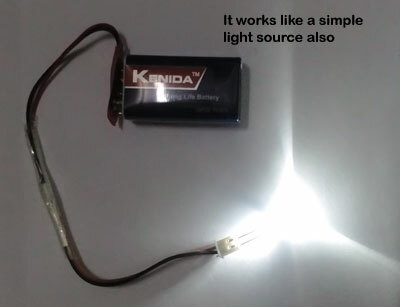 Starting some simple projects for the beginners who are going to start the electronics project building. 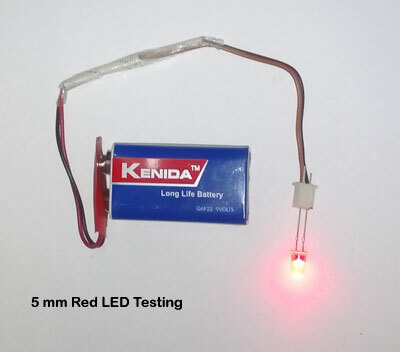 The first project is a simple LED Tester without any soldering. 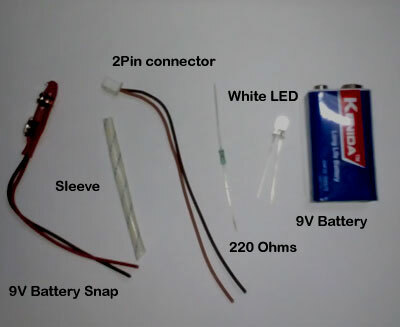 You can make it in few minutes. 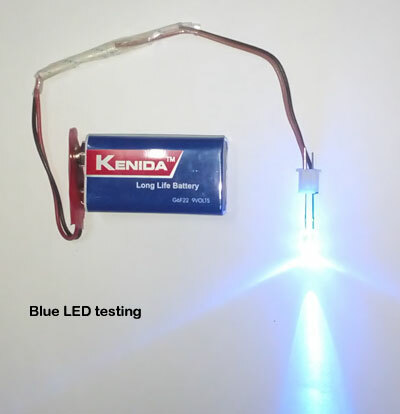 With this tester you can check all the LEDs and can also be used as a Light source. 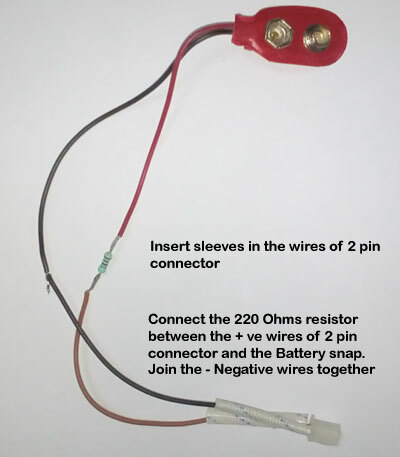 We are going to connect the resistor in series with the Red wires of both 9V battery snap and 2 pin connector wire. 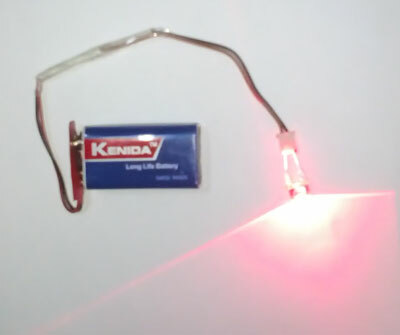 This resistor is essential to limit the current to the LED. 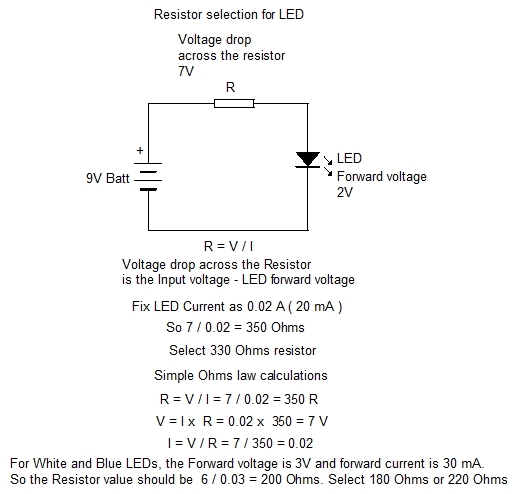 See the image below to select the LED resistor using simple Ohms law. 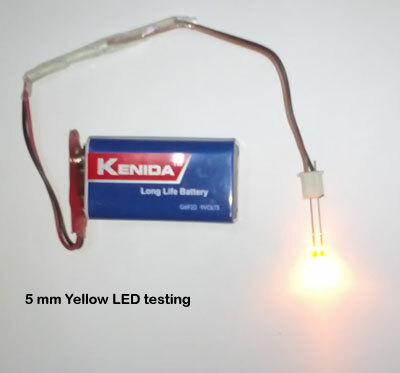 Now the method of making the LED tester is shown in the images given below. 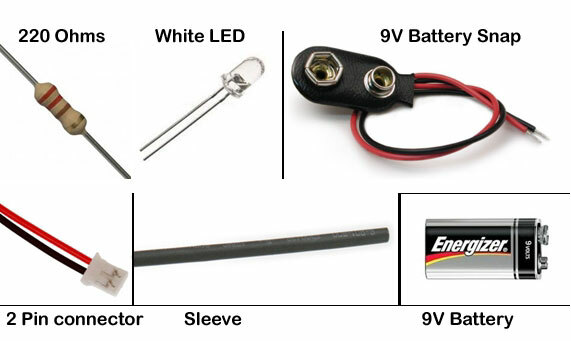 You do not need soldering. 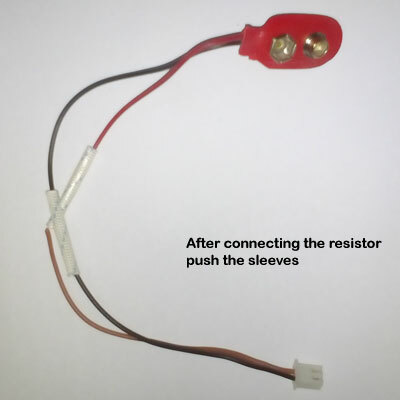 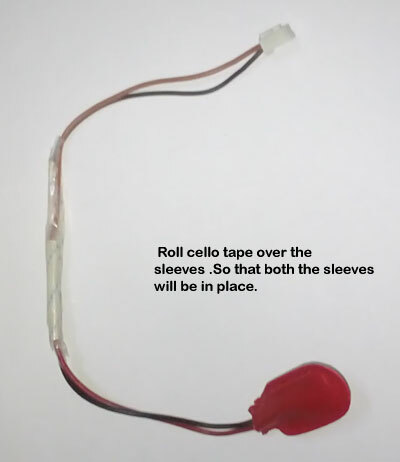 You can join the resistor with the wires by twisting the wires after removing the insulation. 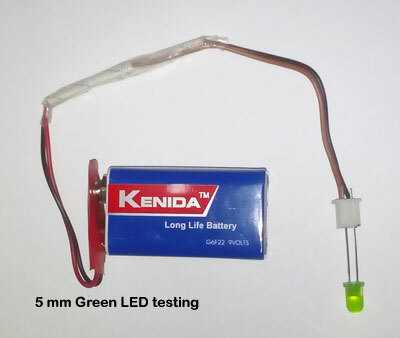 Now the LED Tester is ready. 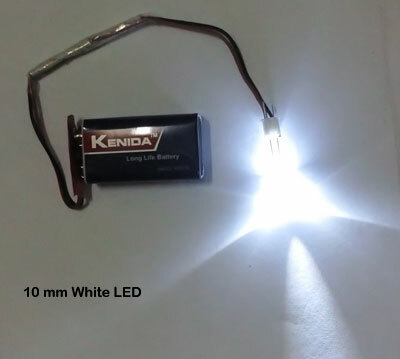 Insert the White LED into the holes of the 2 pin connector with correct polarity. 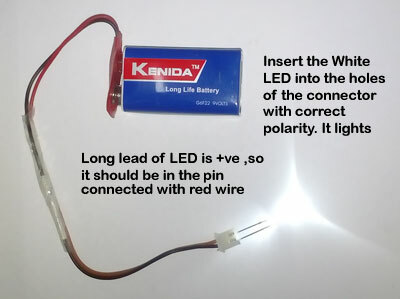 Positive lead of the LED is long, so it should be inserted into the pin connected to red wire. 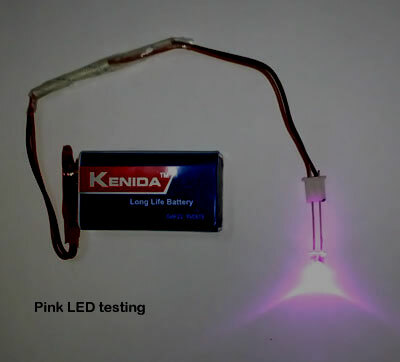 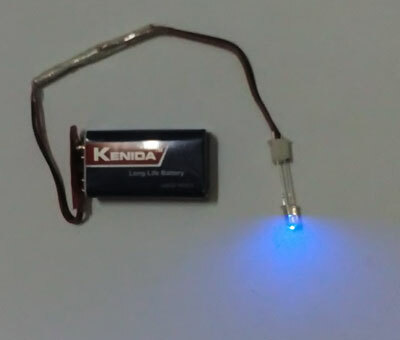 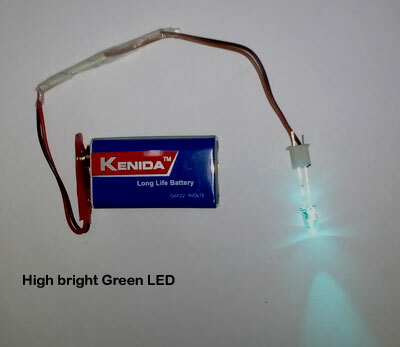 It can be used to test all types of LEDs including 1 watt LED.